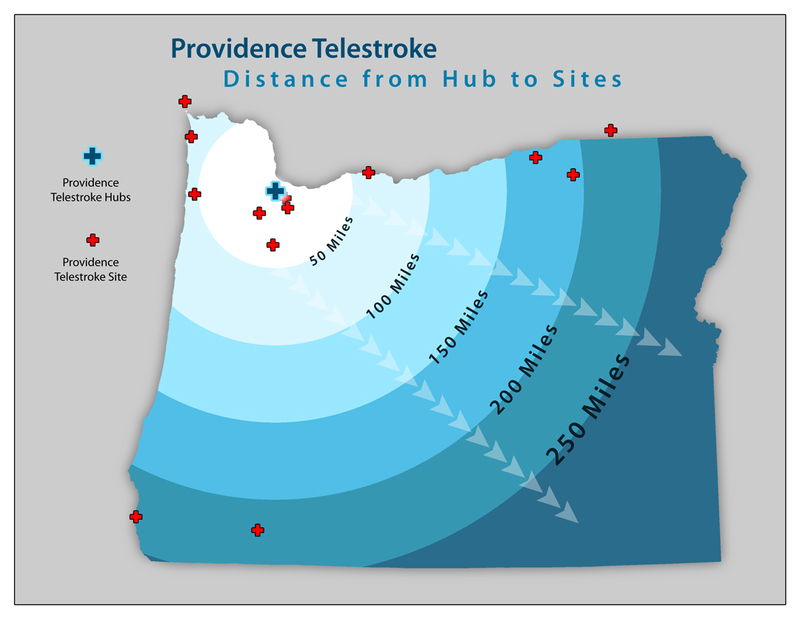 Project: These maps were created as presentation slides for the Providence Brain and Spine Institute’s Telestroke program. 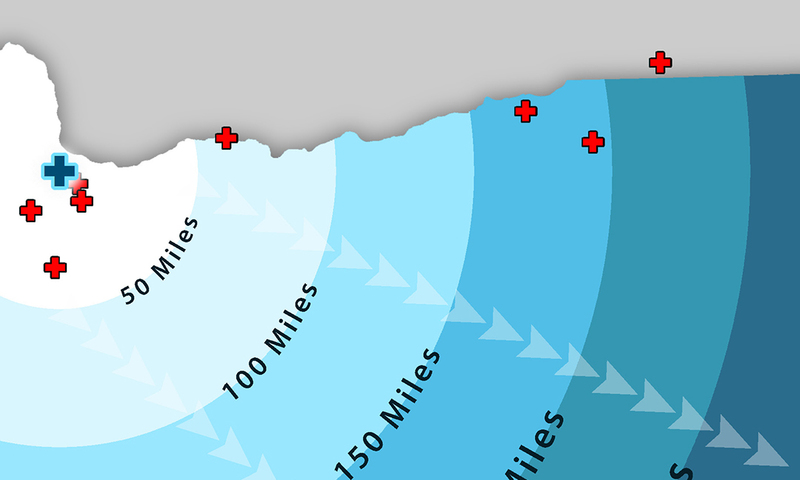 This map is a simplified distance illustration meant to emphasize some of the distance-related treatment issues that stroke victims from the distal sites around the region face. 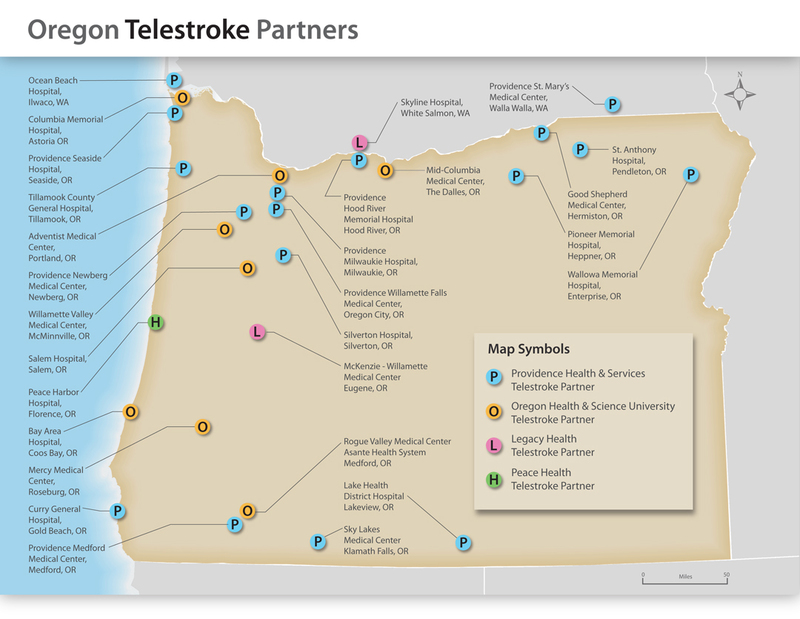 A general location map of all of the partners in the Oregon Telestroke Network.